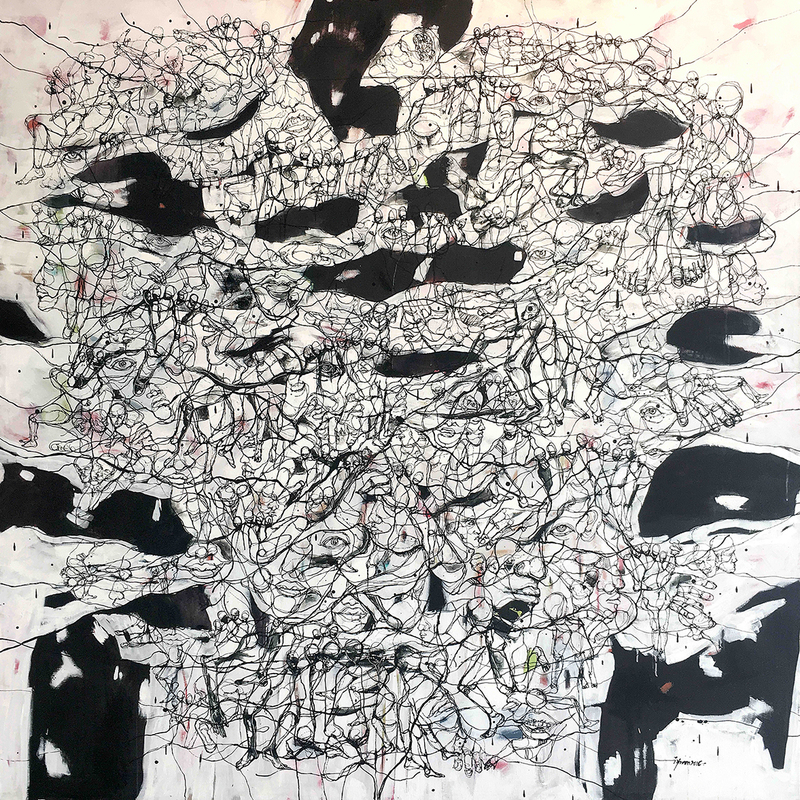 Born 1985 in Maran, Pahang, Khairul Izham approaches broad subject of past and memories with complex layering and conscious masking, leaving the audience with residue from the process of recollection. He graduated with B.A. of Fine Arts (Painting) from Universiti Teknologi Mara (UiTM) Shah Alam, Selangor, Malaysia. Some of his recent shows include: Malaysian Emerging Artist Award (2011), Deceitful Truths (2011), Dischromatic (2010). Khairul Izham lives and works in Kuala Lumpur, Malaysia. Khairul Izham is known to produce a dark, mysterious and elusive mood in his subjects. His brushes of colours create rough silhouettes in an expressionistic manner with details, contours and crevices accurately captured. As seen, predominant hues are used to portray a sense of mystery to this work. When observed closely, on can make discern that the chaos that takes centre stage is a collection of body parts.